Dean Berthelot, a Louisiana native, began his culinary career in 1991 by working as an unpaid apprentice to an award-winning French chef at the 5-star Royal Sonesta Hotel in New Orleans. Upon completion of his two year free apprenticeship, he was hired as a roundsman in the fine dining restaurant, Madam Begue’s. In 1995, Berthelot took his first Executive Chef position at New Orleans’ House of Blues and was the Corporate Training Executive Chef position, opening 6 units. 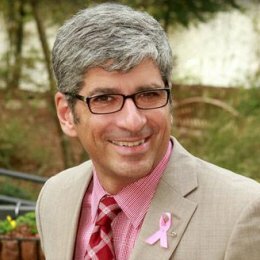 He moved to Atlanta in 2001 with The Cheesecake Factory, where he honed his skills in a high-volume and quality-product concept. 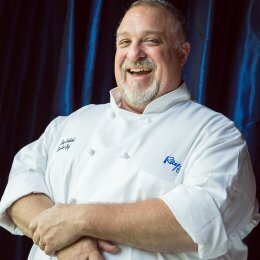 He began his career with Ray’s Restaurants in 2003, working as Executive Sous Chef at Ray’s on the River and then moving downtown to Ray’s in the City three months later to open it as the Executive Chef. Berthelot left Ray’s in 2010 to serve as Executive Chef for the four Google facilities located around Atlanta. Five years later he returns to Ray’s as leader of the culinary team at Ray’s in the City, with a mission to take the dining experience to new heights. Time away from work is enjoyed with his two teenage daughters and wife of 20+ years. Adding to the family are his two dogs and two cats…but, if you ask who really holds the key to his heart, he’ll answer “Cocoa Bean,” his little Chihuahua. He’s a big sports fanatic, particularly loving his LSU teams and the New Orleans Saints. Berthelot enjoys everything about cooking…preparing, creating, and eating. He truly believes that he is blessed because he gets paid for doing his hobby each and every day. John Schadl grew up overseas and traveled for a large part of his childhood. He relocated to Atlanta after selecting a place on the map and credits this time with him first falling in love with the city. He has spent over 35 years in the restaurant industry, including time with McDonald’s as the Director of Training and Operations in Europe where he traveled to Paris, Rome, Spain and North Africa. Schadl also spent time locally with Horseradish Grill and Concentrics Restaurants before joining Ray’s. He says that after all of his travel, he kept coming back to Atlanta and is happy to have landed here.  John has been with Ray’s Restaurants since 2010 and served as has spent time in operations, human resources and training, before transitioning into the events side of the industry. John brings a passion and enthusiasm for delivering an exceptional dining experience while challenging the status quo. “I love this business because every day is different,” says Schadl. “Plus, I get to work with a great team in such a vibrant part of town”. Please note that we do have a business casual attire dress code. Hats are not permitted in the dining room.